Jared Allen, 36, has joined the National Automobile Dealers Association as senior director of media relations. He was a vice president at Levick, a public relations firm, where he managed litigation and crisis communications accounts. Allen will help build NADA's communications and marketing efforts and will be NADA's primary spokesman on policy issues. 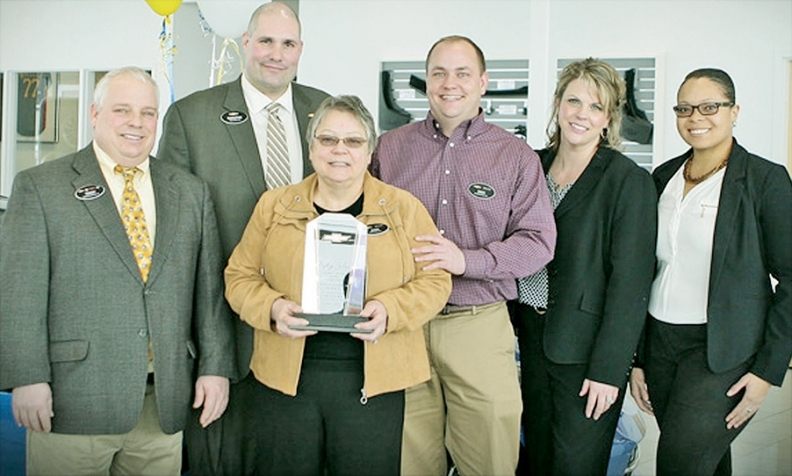 PICTURED ABOVE: Ann Wheeler, dealer principal of Wheelers Chevrolet-GMC in Marshfield, Wis., receives a 50-year award for Chevrolet. Pictured, from left, are Terry Miller, district sales manager in Chevrolet's north central region; Kerstan Ryan, Chevrolet's Greater St. Paul-Minneapolis area zone manager; Ann Wheeler; Dan Wheeler, general manager; Mary Jo Wheeler, general manager; and Jessica Dawson, General Motors' district manager for sales and aftersales in the Wausau, Wis., area. 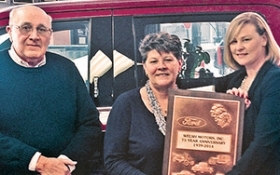 Kimberly Welsh Koch, center, president, and Larry Welsh, secretary treasurer at Welsh Motors in New Springfield, Ohio, receive a 75-year award for Ford from Megan Carlini, Ford Motor Co.'s Pittsburgh regional sales manager. 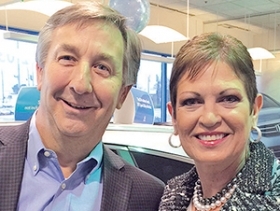 Valery Voyles, dealer principal of Ed Voyles Honda in Marietta, Ga., received a 40-year award from American Honda Motor Co. With her is Pete Richards, general manager. 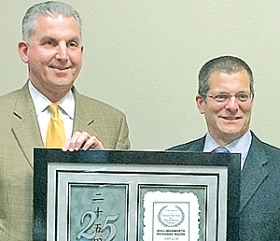 Mike Hollingsworth, left, dealer principal of Hollingsworth Richards Mazda in Baton Rouge, La., receives a 25-year award from Vince Cerza, Mazda North American Operations' sales manager for the Gulf region. 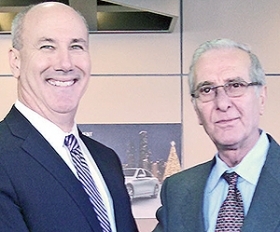 Salvatore Trantino, right, dealer principal of Kings Infiniti in New York, receives a 25-year award from Jeffrey Harris, vice president of Infiniti USA's East region.